In Roslin, Scotland, scientists announce that they have successfully cloned an adult sheep they named Dolly. 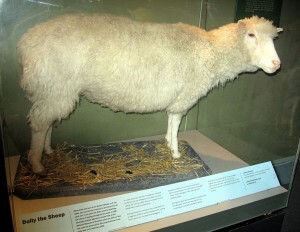 The cell used in the cloning came from an adult sheep’s mammary gland, hence the name Dolly. As in Parton. No joke. Or I guess it was.